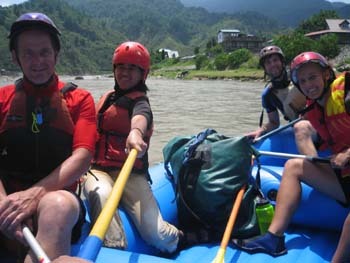 Choosing Tibiao River in the province of Antique for whitewater rafting could be a great scheme for an enthusiast vacation with your buddies. It is located in Brgy. Tuno and will only take you a 15-minute ride in the motorcycle from the highway via Brgy. Importante.It rises on the slopes of Mt. Madja-as the highest point in Panay Island and sinks with over 1,000 meters on its short run to the ocean. There is about 23 kms. of crossable water on the river but access to upper section is difficult. If you happen to be in Boracay, you can make it part of your itinerary too,since it's also accessible from Caticlan. 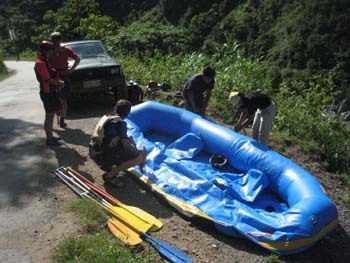 If you are in a group, you can rent a raft at only P100 per hour and start upriver where the water is stronger and more challenging. You can also stay overnight at Kayak Inn as long as you have reserved beforehand so the staff can prepare for you. Lodging is rural and there are no bars or restaurants nearby. This place is in fact for the audacious soul who wants to converse and indulge with nature. 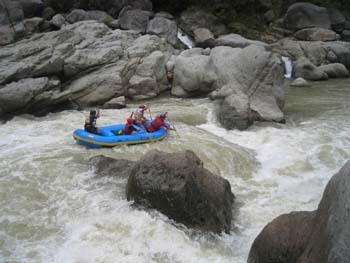 Tibiao River rapids are for both the beginners as well as the experienced sportsman. Indeed, it was the venue of the International Kayaking Competition in 1997. So if you are into intense sports, the rainy season brings in more tricky rapids awaits you.